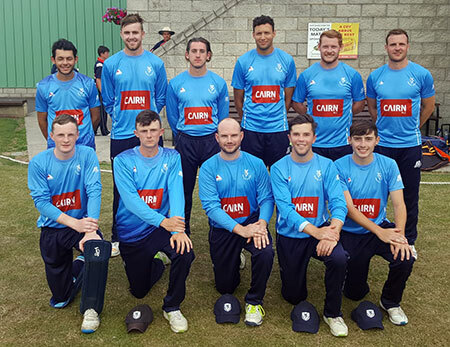 Leinster Lightning Bolts beat NCU Emerging Knights by three runs in a pulsating battle at North County. Half centuries from Balbriggan's Conor Fletcher and skipper Nic Pretorius provided the backbone of a solid batting display that saw the Bolts post 288. Carrickfergus all-rounder Alex Haggan and Derriaghy's Reece Malone each took three wickets. The Hills' Tomas Rooney-Murphy took four wickets as the Knights slipped to 109 for 6 before Mark Adair launched a counter-attack. The former Warwickshire player hit 9 fours and 5 sixes as he top scored with 88, adding 81 with Muckamore's Sam Gordon who made 53. When the 9th wicket fell with 42 still required, it again looked all over, but Haggan had other ideas as he struck 6 fours and 2 sixes in a rapid half century. With four runs needed, Haggan's heroics came to an end as he was caught via a deflection off his helmet - Andrew Sheridan the home side hero as he took his third wicket. An epic encounter and a great opportunity for the interpro coaches and selectors to run the rule over the fringe players. The teams meet again today (MON) in another 50-over contest at Phoenix Park.